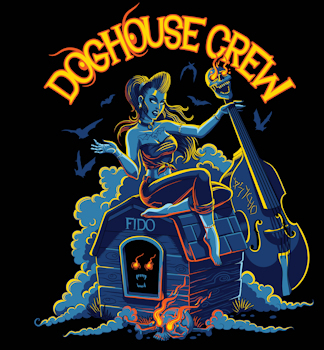 Click on the Doghouse logo to go straight to the live show or on the Mixcloud logo below to access the show archive. Every Tuesday the resident Mad Cow runs amok with the finest selection of Metal, Punk & Profanity. If you're brave enough - click on MOO ! above ... but don't say you weren't warned !!! We are also on TuneIn !! Now streaming 24 /7 ! Put the show in your pocket !! FREE apps now available for iOS and Android.